Recently an article came out about 6 things women with gorgeous skin do every day. The second item was to apply sunscreen. Our ColorScience Powder Sunscreen was featured. You know that the number one way to prevent skin aging is to apply sunscreen, so of course you already use a morning moisturizer with an SPF of (at least) 30. What women with gorgeous skin also do: Reapply sunscreen every few hours. Sun-shielding ingredients are only effective for about two hours—long enough to protect your skin on a morning walk or commute but not throughout the afternoon. 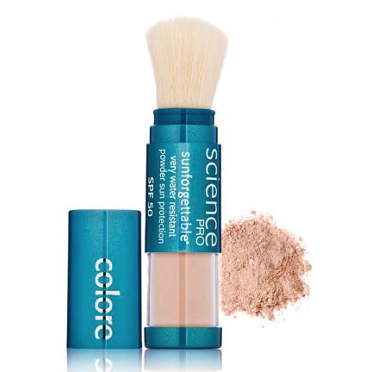 New York City dermatologist Heidi Waldorf, MD, keeps Colorescience Sunforgettable Mineral Powder Brush SPF 30 ($50, Colorescience.com) in her bag because it’s easy to brush on over makeup (and on the back of her hands or décolletage) throughout the day.